Former Nairobi Governor Evans Kidero was Monday dealt a huge blow after a magistrate dismissed his application challenging graft charges brought against him. In his application, Kidero had requested to be charged separately from the other 10 accused persons arguing that the DPP lumped them together to embarrass him. Dr Kidero also challenged charges of conspiracy to commit corruption arguing that it was faulty. In the case, Kidero and former members of his administration have been charged with conspiracy to commit an offence of corruption leading to the loss of Sh213 million. 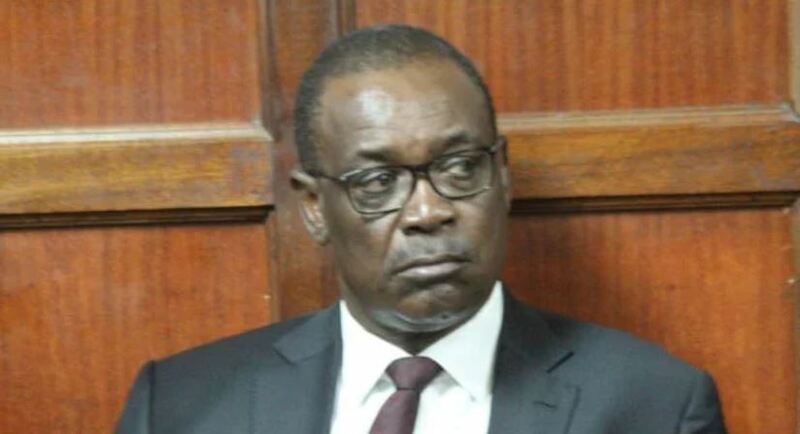 In a ruling on Monday, Chief Magistrate Douglas Ogoti dismissed Kidero’s application noting that the court was not given sufficient reasons either by way of precedent or otherwise to give it necessary authority to discharge Kidero or any other accused persons from the trial. The magistrate also dismissed an application by directors of companies alleged to have fraudulently received payments from City Hall. The directors challenged the move to charge them together with the companies. “The upshot of the matter then is that having observed, this court finds that all the charges as preferred meet the threshold of the law in criminal pleadings, procedure and practice,” Ogoti said. “Accordingly, the two applications are hereby disallowed and dismissed,” Ogoti ruled. Kidero and former officials in his administration are facing charges of corruption and economic crimes including conspiracy to commit corruption, abuse of office, fraudulent acquisition of public property, dealing with suspect property and unlawful failure to pay tax to a public body.